FIFA presidential candidate Prince Ali Bin Al Hussein has said he will support holding the World Cups in Russia and Qatar despite the allegations of malpractice surrounding their bids. 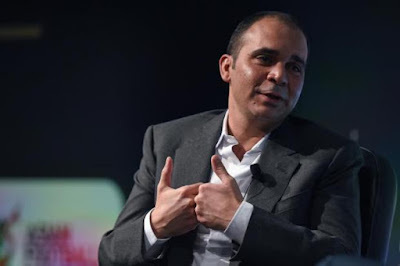 The Jordanian prince, who has positioned himself as a reforming voice, said FIFA needed to ensure Qatar keeps its promise on implementing new laws to protect migrant workers but that "they have the right to host it". There have been allegations that Qatar and Russia breached bidding rules in winning the 2022 and 2018 World Cup respectively, though FIFA's ethics committee judge Hans-Joachim Eckert has said an investigation into the bid process did not justify stripping the countries of the tournaments. Prince Ali, speaking at a media briefing in London, said: "As far as I am concerned, I accept and I will support the World Cup happening in Russia and happening in Qatar. "But again there are lots of things coming out and there are a lot of steps that need to be taken to make sure they are implemented. "I think that every country in the world has the right to host the World Cup. That's the key, however we have to guarantee that major issues such as human rights and labour laws are implemented. They have said they are going to do it, FIFA needs to guarantee that it is done." Asked about the allegations against Qatar specifically, Prince Ali added: "That's the big issue out there in the media - at the same time I do believe they have right to host it and we do need to have the celebration in our part of the world. "But we have to look at it and make sure that nothing in the future happens as it has in the past." He also said if elected he would seek assurances from Russia's sports minister Vitaly Mutko, who was last week labelled by the World Anti-Doping Agency's independent commission as being "complicit" in the doping scandal that has seen Russian athletics suspended from international competition. Prince Ali attended England's friendly against France on Tuesday night where he held talks with the Football Association chairman Greg Dyke. He also hopes to be given an opportunity to address the FA board members in order to try to win their backing. The prince also revealed he would be in favour - as are several of his rivals - of expanding the size of the World Cup finals beyond its current 32 countries but said that should not be used as a tool for trying to win votes. He has also promised to make public the salary of the FIFA president and executives, and to publish the minutes of the FIFA executive committee. Prince Ali lost the May election to Sepp Blatter by 130 votes to 73 but is currently the bookies' favourite among the six candidates. He said he was buoyed by the national associations not being controlled by the old FIFA figures who have been forced out of the organisation. "I am very confident in our national associations - I can see they feel a weight has been lifted off their shoulders," he said. The FIFA presidential election will take place at a special congress in Zurich on February 26.